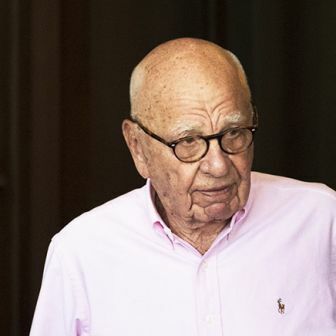 Next Monday morning, 19 November, shareholders of Fairfax Media will gather in Sydney to vote on the company’s proposed merger with the Nine Entertainment Co. Probably uppermost in their minds will be the prospect of healthy dividends and a return on their investment. They might be worried that the deal looks less enticing than it did earlier in the year, but they would be relieved that the Australian Competition and Consumer Commission decided last week not to oppose it. It is unlikely many shareholders will be worried — as Margaret Simons was in Inside Story last week — by ACCC head Rod Sims’s finding that competition in the Australian news market will be reduced, though not substantially reduced, if the merger proceeds. As Simons argued, the ACCC’s decision accorded with its legislation, but the legislation is inadequate and outdated, and fails to tackle the news and information needs of people as citizens rather than as consumers. Whether shareholders worry about such issues is their prerogative. But the supply of what is sometimes called public interest journalism, and what Fairfax Media’s chief executive Greg Hywood calls “quality journalism,” is vital to the nation’s democratic health, and for many decades Fairfax’s news outlets have been a core contributor. So the fate of Fairfax’s journalism is an issue for us all. 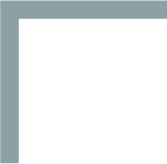 Can Fairfax’s journalistic culture survive, let alone thrive, once it is merged with Nine, which is in the business, as its title makes explicit, of entertainment? 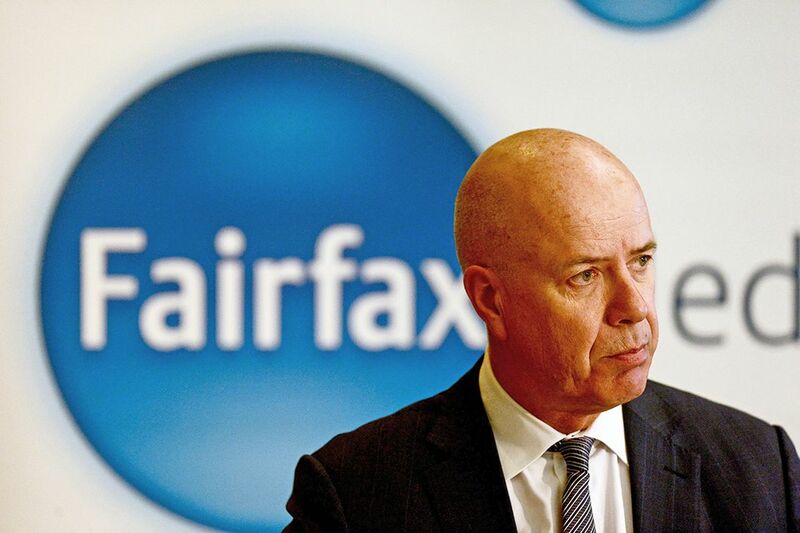 Fairfax Media, along with almost every other media company in the world, has been struggling to find a new business model to replace the one from which it handsomely profited in the pre-internet age. A benign view of Hywood’s tenure is that by the time he took over as chief executive, in late 2010, the digital horse had well and truly bolted. Previous chief executives, whether through arrogance or incompetence, were defeated by what was a wicked problem for mainstream media. Virtually no one foresaw that the strategy of expanding readership online while sloughing off print production costs would be derailed by the rise of global behemoths Facebook and Google, who between them have garnered most of the advertising revenues of newspaper companies’ around the Western world. Unlike his predecessors, Hywood brought to the role of chief executive a strong background as a journalist, editor and corporate executive. He made difficult decisions to slash costs and to build new digital businesses that would profit from the company’s large online audiences. Two key questions arise about the current state of Fairfax. How seriously have the seemingly endless rounds of voluntary redundancies weakened the company’s quality journalism? And how has Hywood, as the company’s public face, gone about communicating his strategy, both externally and internally? The first question goes to the relationship between tangible matters like cost and intangible matters like reputation and influence. Whatever else may be happening in the rapidly changing digital media landscape, journalism that is interesting to the public (such as the travails of the Kardashian family) is in plentiful, profitable supply while journalism that is in the public interest (why so many institutions protected themselves rather than the children they were duty-bound to look after) is expensive to produce and doesn’t necessarily appeal to a mass audience, let alone advertisers. The latter is critical, though, to the credibility of a company’s journalism. It is notoriously difficult to assess changes in the quality of journalism, for several reasons. The sheer proliferation of journalism makes it susceptible to a variation of the boiling frog principle: it looks much the same from day to day, so you need to look back a decade or more to discern significant change, and who has the time, let alone the inclination, for that? Second, the quality of the journalism that wins awards — and Greg Hywood loves to point to the number of awards won by Fairfax Media journalists — may be as good, if not better, than in the past, but the broad mass of journalism is more variable in quality and more susceptible to reductions in the number of available journalists. Each day’s output may reassure readers of the company’s continued existence, but what stories haven’t been covered — or uncovered — because of a lack of resources? 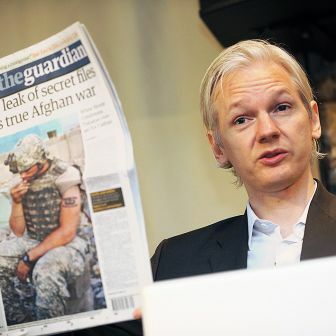 How many sources did the journalist talk to before writing his or her piece, and how much fact-checking was done? How much of the journalistic memory once supplied by subeditors has been brought to bear? The second question, of how Hywood communicates, goes to the relationship a media company wants to create with its audience. Here there is an interesting contrast between the open dialogue that the editor-in-chief of the Guardian, Katharine Viner, encourages with readers and the lugubrious, voice-of-God style that Hywood adopts. 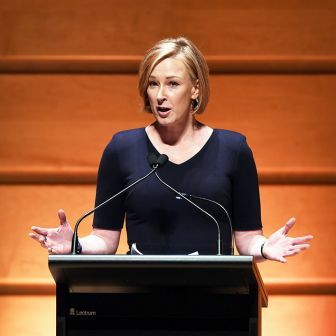 To look back through Hywood’s public comments — in annual reports, presentations to market analysts, speeches and interviews — is to be told that Fairfax Media’s journalism has never been in better shape. Several themes emerge from his pronouncements. In “the good old days” when newspapers were a licence to print money the journalism was an added extra delivered by the proprietors to leverage political and social influence and in some cases a dollop of public good. The business in those days was the classifieds. They made the money, they drove the business. Not anymore. This is only half true. Yes, advertising comprised the bulk of revenue earned by the company for much of its life, but a dispassionate reading of Gavin Souter’s two-volume history of the company, Company of Heralds (1981) and Heralds and Angels (1992), shows that these remarks about the company’s editorial goals cynically undervalue the journalistic culture that grew under the Fairfax family’s proprietorship. Second, Hywood has extolled “quality journalism” as the focus of Fairfax’s rapidly changing business model while overseeing round after round of cuts to the very people who produce the “quality journalism,” namely the journalists. It is hard to estimate the exact number of journalists who have taken redundancy packages in the past decade — figures are not always made public — but it does appear that the redundancy round in mid 2012, which saw close to 20 per cent of editorial staff depart, was the biggest in the company’s history. Redundancy rounds, albeit smaller, have continued in most years since. To put it another way, a decade ago the Age and the Sunday Age had around 500 editorial staff. 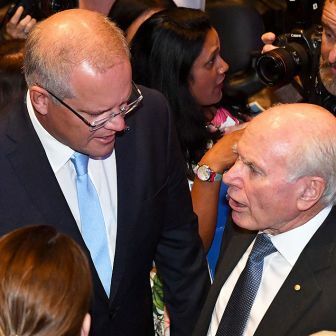 After the last major round of cuts at Fairfax, in 2017, marginally more than that number of journalists were spread across the Age and the Sydney Morning Herald, including their Sunday editions, and the Australian Financial Review. Still, the Financial Review was then, as it is now, with more than five times the number of reporters, the pre-eminent business publication in the country. Under the leadership of Max Walsh it defined the national economic debate and shaped the general political discourse. The business community got the news and analysis it needed and was held to account where necessary. So when the cry goes up about Fairfax Media giving up on quality journalism because we are reducing staff numbers I am incredulous. Since when has quantity got to do with quality? You might argue that one Max Walsh was worth several ordinary reporters, but it strains credulity to believe that a significant reduction in the number of journalists employed by a company won’t have an impact on quality, especially as some of the most talented and experienced journalists of their generation are among those who decided to leave. Indeed, one of them, the late Michael Gordon, is being honoured by the Melbourne Press Club this Friday with the announcement of a fellowship in his name. In the language of the sport he loved: if Hawthorn was asked to field a team of twelve instead of eighteen each week, what would be its prospects for winning a premiership? Fourth, Hywood deploys figures disingenuously. In the example above, he writes that the Financial Review had five times as many journalists in 2016 as it had in 1976 and that the Sydney Morning Herald had about seventy-five journalists in 1968 during the “time of the legendary ‘rivers of gold’” when the Herald had a virtual monopoly over classified advertising in Sydney. But this is to vault over a key reason for the large expansion of staff numbers during the 1980s and 1990s: the introduction of a range of weekday supplements and the Good Weekend magazine. What we did say in these lay-offs is that we want this to be the last big structural redundancy round, because we have been working for years to get our metro publishing businesses to the point where they can be sustainable in this market environment, and it has taken us quite a number of very difficult decisions, very confronting decisions. Fairfax will continue to thrive as a high-value, broadly based, digital-rich business of powerful information brands, marketplaces and entertainment assets… We remain focused on our strategy to grow shareholder value by leveraging our award-winning journalism and content to engage audiences, communities and businesses. So everything is fine at Fairfax Media, and there is no relationship between the quantity of journalists and the quality of the company’s journalism. Or if there is, then way more journalists are working there now than in the so-called golden days. Or, okay, we had to take difficult cost-cutting decisions, but don’t worry because we’re transitioning into the world of information brands. These different strands of rhetoric may be aimed at presenting a strong sales pitch to shareholders and institutional investors, but they are frankly baffling to everyone else. 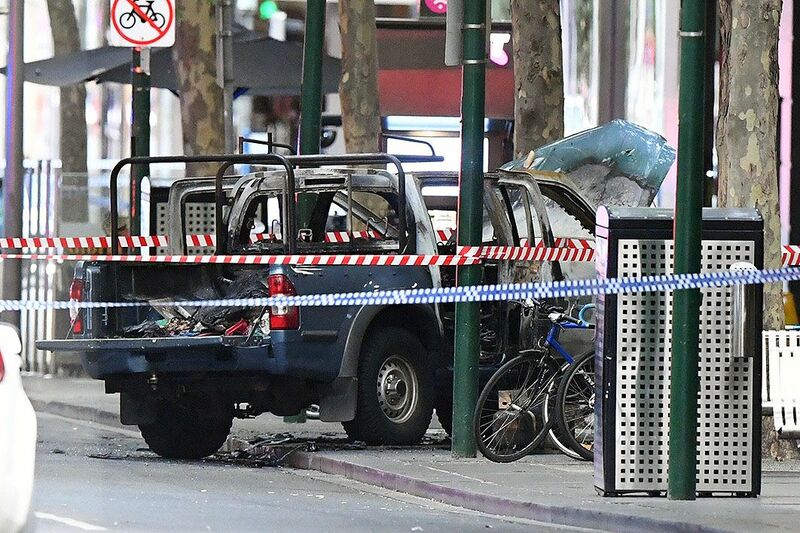 The contradiction between the corporate spiel emanating from Fairfax headquarters and the spirit of fearless truth-telling that underpins quality journalism is glaring. And it could well be weakening the close ties that readers have long had with Fairfax’s newspapers. That may not trouble Nine Entertainment, for whom other parts of Fairfax, such as the online streaming service, Stan, and the online house advertising site, Domain, are more financially attractive than the struggling mastheads, but it is worrying for anyone with a commitment to public interest journalism. Matthew Ricketson is Professor of Communication at Deakin University. He was Media Editor of the Age from 2006 to 2009. What does the research tell us about this increasingly common phenomenon?